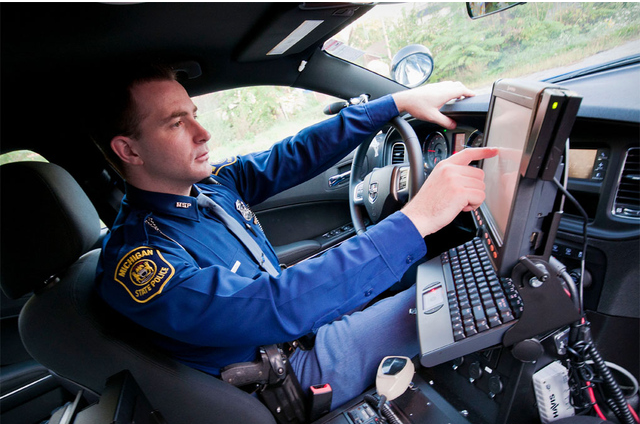 Did you know that the best police officer candidates aren’t always the ones who get hired? Over the years, I’ve witnessed brilliant, passionate candidates get passed over because they got a mediocre score on the police officer selection test. Similar to that of the New York State Police, agency are now ranking applicants based entirely on their test scores. Therefore simply getting a passing score isn’t good enough anymore. Your aim as I’ve stated previous should be to get a top score in the high to mid 90’s. The reality is you may arm yourself with lots of facts and figures, but it all comes down to your approach and how you tackle the questions, rather than your actual academic knowledge. The good news is that the police officer test similar to that of the Derrider Police Department in Louisiana is not really that difficult, so your academic background doesn’t really matter. And the better news is that by the time you finish reading this article, you will have learned how to apply common sense and judgment to ace the law enforcement test. Are you ready for the police written test? The police officer hiring process has lots of tests and exams, and the written exam is the first major hurdle that you’ll face. It’s the first cold sweat in a series of cold sweats, and a nice wake-up call to re-affirm to you that you are actually on your way to working in the police force. There is only one simple way to deal with the written test, and make your way towards carrying a badge: get the best score possible for the highest ranking on the eligibility test. It isn’t just a matter of getting on the eligibility list for future employment, but ranking among the top five candidates, and working to remain there in subsequent tests. It is worth noting that the police written exam varies throughout the country, with some agencies renting the test from companies that specialize in police entrance exams like Stanard & Associates, and others getting their written tests from state run organizations such as Peace Officer Standards & Training (POST). Still, there are many municipalities like Nassau County Police Department and the Yonkers PD that have their own in-house exams. They are easy to administer via PC for instant grading. Like any other test, the first step to preparing for the national police officer selection test is finding out all that you can about the test from the recruiter, the department website, or the department’s human resource. Ask about the components that will be assesses so that your study efforts can be directed at only what’s relevant. Most components include incident report writing, grammar, reading comprehension, and math. So, once you know the areas that will be tested, you can identify your weakest areas and try to reinforce your skills in that area. Examine spelling rules, look for materials to enhance your vocabulary, and do some calculations. If you rarely read, it would be a nice idea to start doing so. Try reading a newspaper out loud, by yourself and to someone else, as a way to improve your comprehensive skills. It will be really useful if there is someone to assist you, by asking questions about different passages to test your understanding and memory. By now, you have already picked up on what the written test evaluates: spelling, math and vocabulary. These areas are basically common knowledge, but there are other questions that assess your range and ability to react rationally. Such questions require a combination of observation skills, good memory and judgment skills, which you can practice by observing people, places and vehicles, memorizing descriptions, and coming up with careful assumptions. So, allocate some time for this in your POST study guide. In the line of duty, you will be required to base all your actions on the “why’ of any situation. One way to practice taking this approach in real life situations is going on a ride along, to try and understand the reason why the police officer makes certain decisions, actions, and reactions. Any police exam study guide will tell you that the key to making something easier is repetition. In order to grab the context of the police written test, you must take many police test questions for practice. This will reduce your anxiety, and make you feel comfortable during the actual test. Look for various police exam questions and take them. You can even time yourself to see how much time you need to dedicate to particular kinds of questions to maximize your score. You need to organize your schedule the best way you can, so you are psychologically prepared for the test. With proper preparations, you can have peace of mind knowing that you will give the exam your best shot. It is important to sit for an exam with a positive mind. Additionally, get enough sleep (7-8 hours) before the exam. The idea behind having a police test study guide is to have an easy time in the actual exam, which means that your police officer practice test should also consider time frames. When preparing for the police POST test, you should allocate different time frames for the four sections: 20 minutes to tackle 20 items in mathematics; 25 minutes to tackle 25 items in reading comprehension; 15 minutes to tackle 20 items in grammar, and 15 minutes to tackle 10 items in the incident report writing section. • Divide the time allocated for each section evenly so you can answer all questions. • Read each question keenly, and select the most logical answer. • If you skip any questions, remember to leave enough time to go through them afterwards.